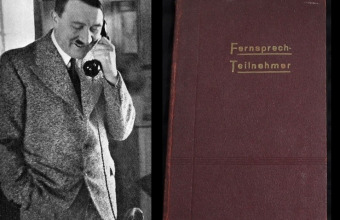 Historic sale offers Adolf Hitler's "Million Dollar Desk"
Hitler’s desk and John Wayne’s revolvers are amongst the top lots in this month’s Historic Military & Firearms Sale at Milestone Auctions. 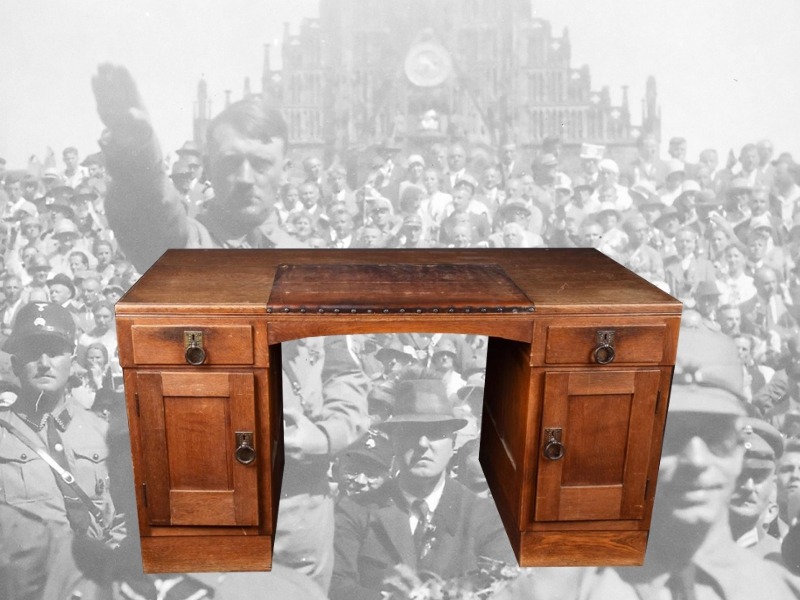 The most remarkable – and controversial – item on offer is an antique writing desk owned by Adolf Hitler. 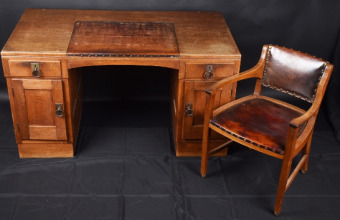 The custom-made oak and leather desk, complete with a matching chair, was presented to Hitler in 1929 as a gift from Mrs. Elsa Bruckmann, otherwise known as Princess Cantacuzene of Romania. The desk stood in Hitler’s private apartment in Munich, and remained there throughout the Nazi atrocities of WWII. Hitler took numerous meeting in the apartment during that time, including official talks with both Neville Chamberlain and Benito Mussolini. Following Hitler’s death and the end of the war, the apartment was ransacked and the desk was seized by the US Army. The desk features both the original maker’s label of Royal Bavarian Court furniture maker Mobelfabrik M. Ballin, and the later stamps ‘US Property’ and ‘United States Forces European Theater Headquarters’. The important desk serves as a dark reminder of the darkest period in 20th century history. 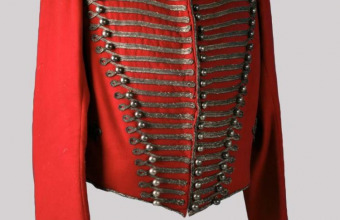 Having previously sold in 2011 for more than $400,000, it is now expected to fetch up to $1 million. Another standout lot is a pair of Smith & Wesson revolvers owned by the American cultural icon John Wayne. The matching .38/44 Heavy Duty (fixed sight revolvers) date from 1932, and feature chiseled silver and gold grips inset with rubies, along with the initials JW at the top. The hand tooled leather double holster is equally ornate, adorned with gold overlay, rubies and a pair of silver buckles. The collection is completed by a pair of silver spurs with gold floral overlay and a pair of leather stirrups with silver and gold floral panels. This pair of ornate pistols, from the most famous cowboy in movie history, looks set to attract worldwide attention from fans of the Duke when they hit the block on January 27. “We believe this will be our most successful auction ever," said Chris Sammet, co-owner of Milestone Auctions. "We’ve recently displayed some of our key auction items at major gun and militaria shows, and the reaction has been phenomenal. These types of personally owned items simply do not appear at auction, certainly not altogether in one auction."